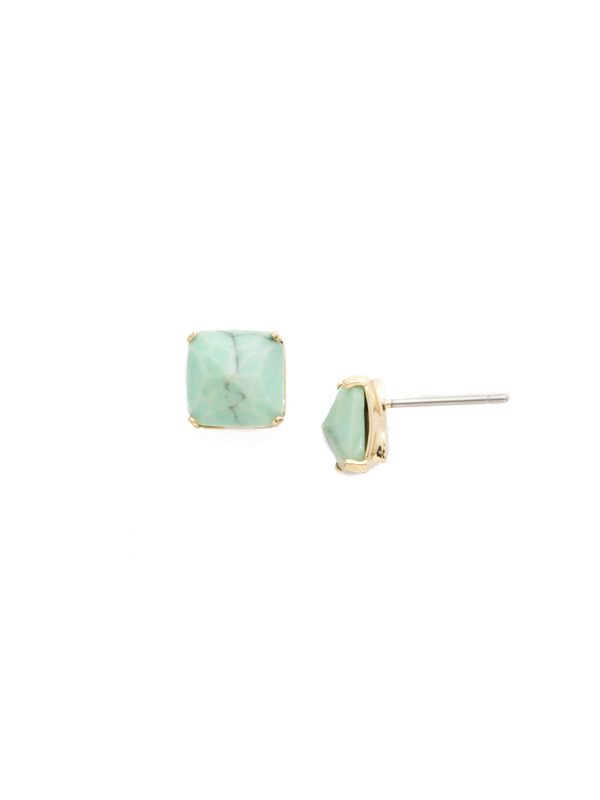 Quite simply, a perfect delicate stud with a pyramid shaped semi-precious stone in a four prong setting. The Betta Earring can be worn individually or in addition to other small earrings for a bolder look. The post sits comfortably on your ear and is ideal for daily wear.